realme Malaysia recently released its realme 3 smartphone and as part of the celebrations will be offering an exclusive discount for the realme 3 (3GB RAM + 32GB ROM) in conjunction with Lazada’s 7th Birthday Sale on 27th March 2019. The popular budget brand has seen global success already with more than 5 million units worldwide. 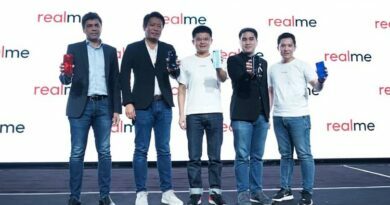 “We are happy that realme has chosen to continue their rapid growth in the Malaysian market by partnering with Lazada. Having realme onboard with us offering deals exclusive to Lazada’s 7th Birthday Sale allows us to provide our shoppers with trendy, accessible technology at great price points. It’s our birthday, but it really is your party,” said Sherry Tan, Chief Business Officer, Lazada Malaysia. 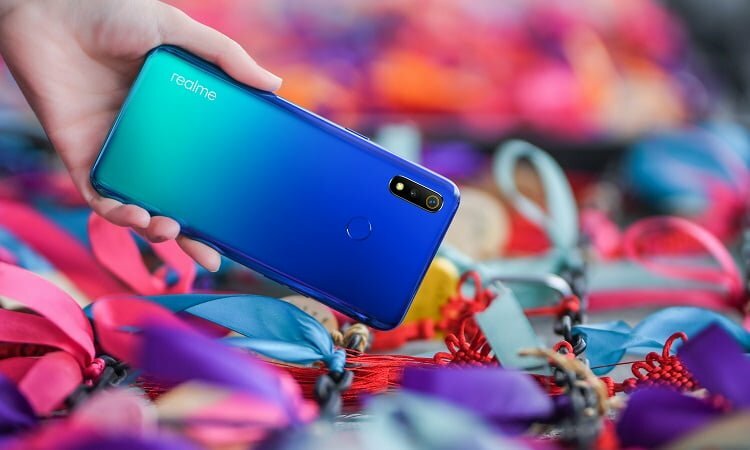 In order to give young people the best visual experience, realme 3 uses gradient colour matching – Dynamic Black and Radiant Blue. Dynamic Black is based on a two-tone black-blue scheme which goes through a three-round spraying process to achieve a natural gradient between black and blue. And the blue part uses special painting which changes with the viewing angle, appearing to shift between blue and purple. The addition of pearl powder gives the back cover a more colorful look and greater depth. realme 3, based on realme 2, has upgraded its screen from a notch screen to a dewdrop screen that integrates the front camera, light sensor and distance sensor. The handset integrates the small “dewdrop” at the top of the screen, resulting in a screen ratio as high as 88.3%. Compared with the previous 14nm process technology, power consumption has been reduced by up to 15%. At the same time, the P60 adopts an eight-core architecture with four Cortex-A53 high-performance cores and four Cortex-A73 high-performance cores. It has a maximum frequency of up to 2.0GHz. Graphics processing utilises an 800MHz/900MHz ARM Mali-G72 MP3 GPU for exceptionally smooth operation. In addition, the P60 is equipped with a multi-core and multi-threaded APU, including a multi-core processor and intelligent control logic processor with NeuroPilot and a new intelligent multi-threaded scheduler. Power consumption is more than 2 times of the GPU and processing power can reach 280 GMAC per second – the highest terminal AI processing performance in this segment. With CorePilot 4.0 technology, realme 3 can better manage hardware resource tasks, optimize power management, and provide a more continuous and stable user experience. intelligent power-saving functions for high-endurance performance. At the same time, CABC (Content Adaptive Backlight Control) technology dynamically adjusts the screen contrast dynamically to save power. The hardware of realme 3 has been greatly optimized, with rear dual cameras upgraded to a 13MP + 2MP secondary camera using an f/1.8 large aperture and 5P mirror. These have resulted in major improvements in terms of resolution, dynamic range, colour performance and more. Notably, AI scene recognition technology automatically selects an appropriate exposure scheme according to the particular scene to enhance the quality of the overall shoot. Slo-mo Mode supports 90fps/720P video shooting, which is another fun way to record wonderful moments in life. For the first time ever, realme 3 brings Nightscape mode to this price segment; using AI technology, multi-frame synthesis and anti-shake algorithms to greatly enhance the exposure under extreme low light conditions, Nightscape mode enhances the camera’s usability in extremely dark conditions. More details can be revealed by adjusting highlights and dark portions of the exposure, and realme 3 also effectively controls noise to enhance the overall clarity of the photo. In order to meet the needs of young consumers for imaging, colour and photography style, realme 3 has also introduced the Chroma Boost mode. This mode features AI technology to identify and optimize scenes, increase the overall dynamic range of photos, reveal richer details in highlights and shadows, and give a more balanced exposure. Based on different scenes, certain colours can be optimized to for a more vivid, bright and eye-catching image. realme 3 uses a selfie algorithm that accurately retouches skin, eye, hair and other details through 296 facial recognition points, and users can also adjust the beauty degree according to his or her preferences. realme 3 comes equipped with the latest Color OS 6.0 operating system and adopts a borderless design, using more blank space instead of dividing lines to reduce visual splitting, making the entire user interface feel more pure and efficient. At the same time, realme 3 combines light and soft colours to enhance the overall visual texture and be more pleasing to the eye. realme 3 has improved over 20 system functions based on user suggestions and feedback from social media and communities, improving ease-of-use comprehensively. realme has collaborated with local watercolour artist, Joee Cheong to design limited edition exclusive phone cases for the realme 3. Titled, “Galaxy Inspired Collection”, the phone cases are the artist’s creative interpretation of the galaxy, based on the phone’s gradient design. 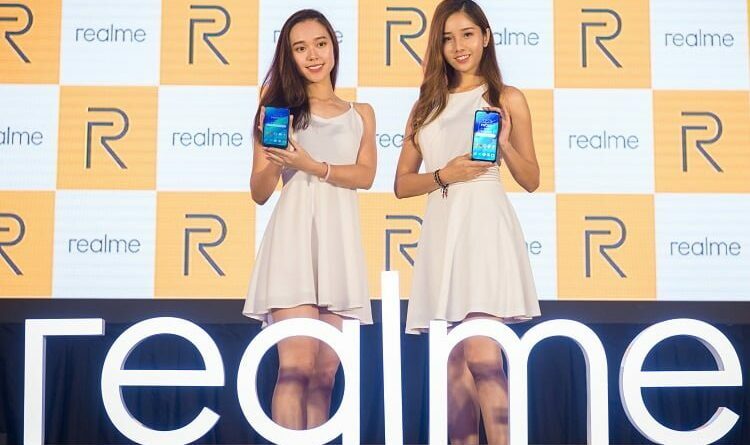 They will be available, as a gift for 50 lucky customers, who purchase the realme 3. As part of its efforts to continue working with young students across the country, realme will be holding its inaugural Young Talent contest, from today till the 8th April, to provide their creative interpretation of “Who is realme?” and “How do you define Young” in the form of submissions via videos, photos and art (watercolour pieces, doodles and paintings). 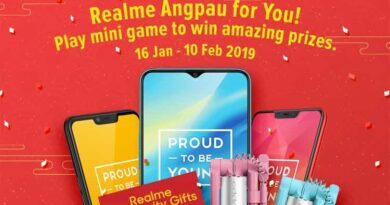 This contest is open to Malaysian university students from Sunway University, University Malaya, One Academy, INTI University and Management & Science University (MSU) who will have the opportunity to take home attractive prizes in the form of realme 2 Pro smartphones. Customers can purchase the realme 3 (3GB RAM + 32GB ROM) on Lazada on its flash sales on the 27th March, at a special price of RM549.